Though, officially, spring is still a few weeks away, you can do important tasks around the house right now to prepare your home for the coming season. “It’s vital to start on your winter-recovery checklist as soon as you start to feel the first shy breezes of spring blow in,” said Rob Morelli, chief executive of HomeKeepr.com, a referral network for home-service professionals. Seal air leaks. Winter is when you’ll really notice drafts in your home. This will make it easier for you to identify air leaks and plug them, which will help prevent warm air loss now and cool air loss in coming months, Morelli said. Homeowners should pay particular attention to windows and doors. If you spot cracks or gaps, caulking or weatherstripping should fix the problem; both are simple, do-it-yourself projects. Weatherstripping windows, for example, requires only measuring tape, a utility knife, and self-adhesive tape. Inspect your roof. If your roof is 20 years old or older, inspecting its condition after a major snow or ice storm could be a good idea, as older shingles may have taken a beating. “Assuming the roof is walkable, you have an appropriate-size ladder, and you’re comfortable going up, check your roof,” advised Mark Clement, co-founder of MyFixitUpLife.com, a resource for DIY home remodeling. Look for torn, warped, or missing shingles, and contact a professional roofing company immediately if you discover any, as they can indicate deeper problems in the structural integrity. Just make sure you’ve given ice or snow time to melt before doing your inspection so you have clear visibility and won’t slip. Clear out gutters. Heavy snow or ice can loosen fasteners and pull gutters away from your home, Morelli said, which may cause drainage issues. “With the heavy rain months approaching and winter getting behind us, you want to fix any damage to gutters now,” he said. Clearing gutters of winter debris also will prepare them for spring showers. Check for uninvited guests. This is a good time to check certain areas of your home for animals or critters that may have taken up residence inside your house to escape the cold. Search for pests in dryer vents, the attic, and the basement; animals tend to hole up in warm spaces. Test your sump pump. Sump pumps help keep basements and crawl spaces dry. If water accumulates in these areas, a sump pump will perform like a drain, sucking up the water and pumping it through a pipe that releases the water outside your home. Without a working sump pump, your home could be at risk of flooding, which is a real concern during spring showers, Morelli said. Consider hiring a plumber to do an inspection for you, as most plumbers charge only $45 to $65 an hour for sump pump work, HomeAdvisor says. Prepare lawn equipment. If you’ve got a lawn to mow, tend to your equipment now so you’re ready to start the spring season without a hitch. You can start by draining old gas and oil from your mower, because lawn mower fuel that has been left to sit over the winter can deteriorate and harm small engines, said Missy Henriksen, vice president of public affairs at the National Association of Landscape Professionals. Then check your mower blades for wear and tear, replace spark plugs to ensure easy start-up, and inspect the air filter. A clogged or dirty air filter can cause the machine to burn gas less efficiently. Insulation reduces utility costs and helps regulate attic temperatures year-round. Insulate the attic. If your attic has little or no insulation, the room could become a sweatbox on a warm spring day. Adding insulation before warmer weather arrives will prevent this from happening, as well as help in the cold days left this winter. 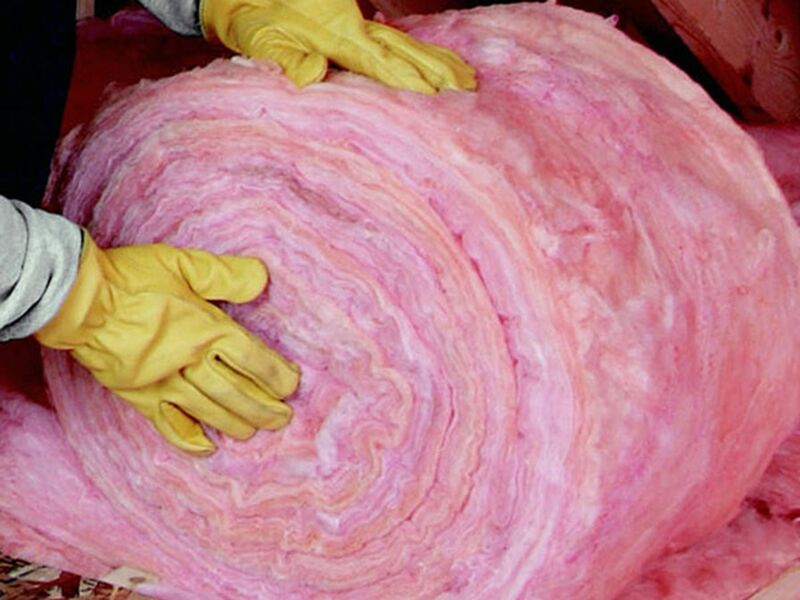 Of course, there are different types of insulation to choose from: Blown-in cellulose, batt (such as fiberglass, mineral wool or cotton), and spray foam are three popular materials. Your best selection method is to reach out to an architect to evaluate the conditions of your attic and provide recommendations for the best insulation for your budget (e.g. professionals charge $1,500 to $2,000 to insulate a 1,200-square-foot attic with blown-in cellulose, according to FamilyHandyman.com). Insulate pipes. Foam pipe insulation can benefit your home year-round because it acts as a protective cover against cold during the winter and heat during the summer (when condensation can build) for copper and PVC pipes; it costs about $1.50 to $3 per six feet at Home Depot. Check your deck. If you cleaned and sealed your deck in the fall, you’re probably not going to need to worry much about damage. But if you didn’t, check carefully for signs of rot before power-washing the deck boards to remove the salt and muck from winter.